Our Somers Point, NJ location is our flagship marina and boat dealership. Located in scenic Somers Point, we are ideally situated to serve all your boating needs. 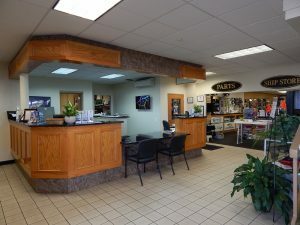 This location features our beautiful, freshly remodeled showroom for new and used inventory, the Waterfront Café, our Ships Store and Parts department, our award winning service department, a full service high and dry rack storage facility, new in-water docks and a brand new automated “state of the art” fuel system-dispensing ValvTect Marine Fuels. All of these elements and more make us a trusted New Jersey marina. If you are looking for the ultimate boating experience, no other dealer is better positioned to serve all of your needs. We offer anything and everything to make the most of your valuable boating time. Our New Jersey marina is located on the beautiful Patcong Creek in Egg Harbor Township. This location features in-water slips for rent, in and out forklift rack storage, a full service crew, and travel lift. 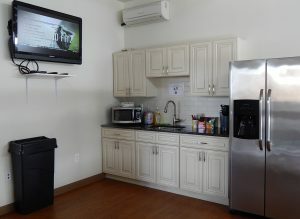 This quiet and serene location is perfectly situated to allow you easy access of some of the best fishing and crabbing in New Jersey; water perfectly suited for skiing, tubing, and wakeboarding; and all the fun that the Great Egg Harbor Bay and River have to offer. This is a perfect jumping off spot for a waterfront meal at several local restaurants, or a swim at a local “boat beach”. Keep your boat here and you can do it all from our well protected marina! Our Maryland location serves the entire Chesapeake area from Edgewater, MD. Our award winning sales staff is sure to get you in the new or used boat of your dreams. We are pleased to offer our certified service team to keep your boat in top form. Contact us for more information about our Maryland location and how Waterfront Marine can get you on the water. You can also shop new boats or used boats, browse our service department, or shop parts.